Embed a response thread in XPages? For my Bildr project I would like to embed a comment functionality where people can respond on pictures (and respond on the responses). I am wondering what would be the best (+easiest) way to do this? I did not find a reusable ‘response hierarchy’ control on OpenNTF. David Leedy describes in a post how to create response documents in XPages. Chris Toohey describes how to get a similar embedded single-category view. But I am wondering if there are any (other) good descriptions or rip and deploy examples? Take the thread from the Discusison template? 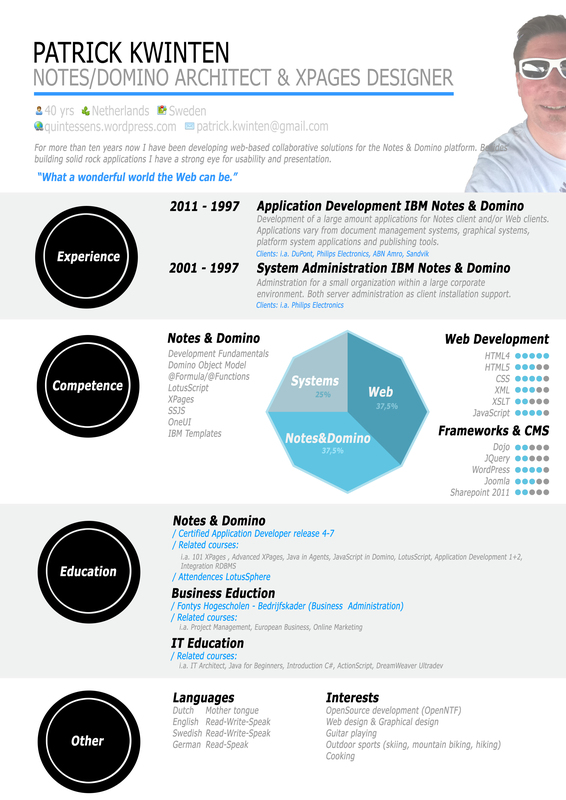 Next Article When is the Domino Blog application book coming out? The NextGen Discussion database on OpenNTF would be my initial thought. But that’s more for response Discussion documents rather than just comments, so I would expect you’d have to strip out more than you would use. Also, I think it opens the response in a new XPage, which probably isn’t appropriate for comments. I’m not aware of anything pre-built for this though. I skipped a real discussion thread solution, and present a flat ‘comments’ instead. will try to uploas a new version this evening on OpenNTF.